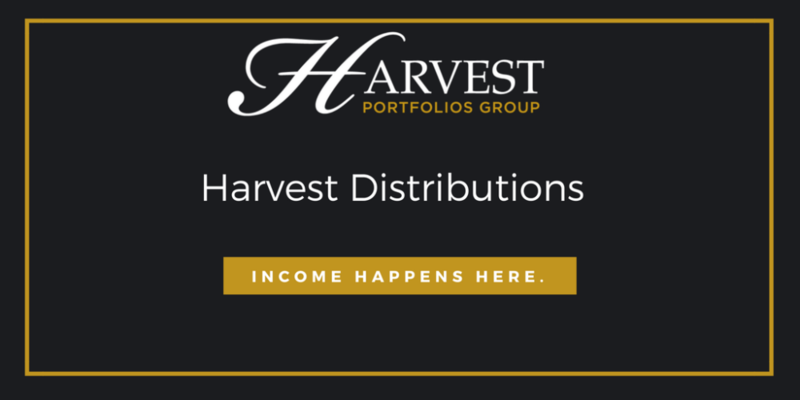 OAKVILLE, ONTARIO, September 20, 2018 – Harvest Portfolios Group Inc. (“Harvest”) declares the monthly cash distribution payable for Big Pharma Split Corp. of $0.1031 for each class A share (PRM:TSX) for the month ending September 30, 2018. The distribution is payable October 15, 2018 to class A shareholders of record at the close of business September 28, 2018. Harvest also declares the quarterly cash distribution payable for Big Pharma Split Corp. of $0.1250 for each Preferred share (PRM.PR.A:TSX) for the quarter ending September 30, 2018. The distribution is payable October 12, 2018 to Preferred shareholders of record at the close of business September 28, 2018.